Well, my week of HAED rotation was interesting to say the least. I tried 2x1 and was having so much trouble with it, so I tried 2x1 half stitches. I did a whole rest of the column that way. Sat with it a few days and didn’t like it. So I scooted the fabby over and am doing 1x1. I am doing better with the 1x1 and liking it ok. The bifocals are a big help on this fabby!! Then rotation time ended and it was time for Wolf. But, due to some strained tension between Ty and I, I just wasn’t up to working on it. So I put it up and decided to do this week as a free stitch this week. And boy has it been fun. 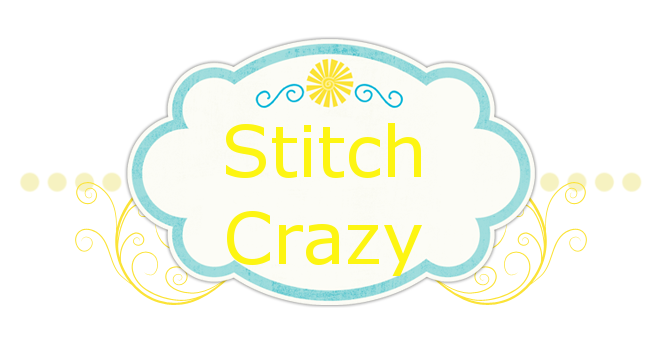 I am going to have to add a free stitch week to my rotation!! James’s musical note. This is just so him. As you know he is a musician at heart and plays in a band. He “speaks” music. And this one is for Seb. I saw this one and the goonies one on pinterest and etsy. BUT, since I have PCStitch, instead of ordering a pattern, I just did it up in that. It is in different fonts than the patterns were, but it still works. I spent the rest of yesterday and today not knowing what to stitch and unable to settle on anything. But I was flipping through a JCS issue and decided on “Spring Butterfly”, and it is just for me. So I started it tonight. I’m collecting/starting some butterflies because a room somewhere is going to be butterfly themed. Cave or bathroom, don’t know which yet. On the kitty front, Logan still has the sores. One day they look better, the next they are flared. I did call the vet and they think it *might* be rodent sores. Generally caused by an allergy or immune disorder. Generally recurrent and tough to get rid of, generally needing shots. BUT, they did give me the amt of benadryl he could take, so we have done that some. Food has been changed over to a grain free food and they have not had any cat nip. Poor babies. Oh, and the fur baby water bowl was a huge plastic mixing bowl and I switched it out to a metal one so that he is not using any plastic dishes. I’m not even sure he drinks out of the communal water bowl as he really gets excited if there is a sink or bath running and will drink forever from the faucet. So I’m also trying to run a faucet for him a little more often to make sure he is getting plenty of water. It still changes from one day to the next. Like today his lip LOOKS swollen when you look at him, but when I look at it up close, it doesn’t look bad at all. I don’t see any sores, a little redness/irritation, but no sores. I’m keeping a very close eye on it because a google search of rodent sore images showed some very nasty ones and there is no way in hades I will let that happen to my baby without some aggressive treatment. Hopefully what we are doing will clear it up, but it won’t surprise me if we make a visit to the vet in a couple of weeks. I love the musical note. Your stitching is lovely. You are a very creative person. I glad you found a groove for the HAED. You need to love stitching it or you will never finish it. Have a nice week. Good for you for trying different HAED stitches. I am doing 2x1 tent stitch on mine, but haven't gotten very far at all. It's great that your piece of fabric was big enough to scoot over and start again.